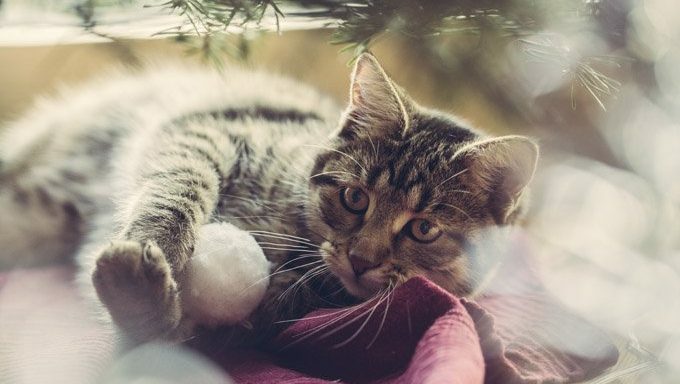 Cats love warm, cozy things, so the winter can be stressful for them. They’ll want a safe place to hide, curl up, and stay toasty warm. They need nice, heated, fuzzy things to sleep on and special grooming for their fur. 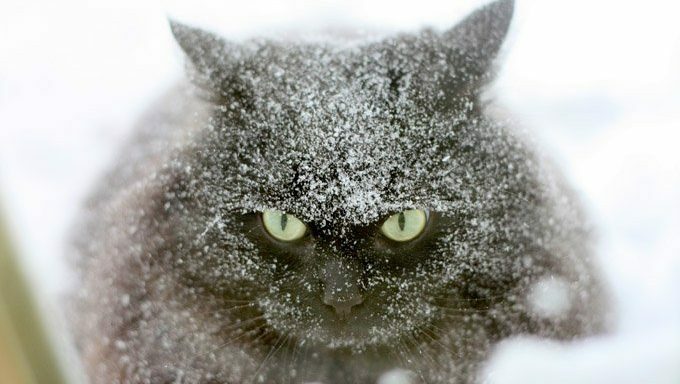 But when blizzard conditions are roaring outside, you’ll need to take even more precautions for your cat. Here are some things you should know about keeping kitty safe during a blizzard. According to AccuWeather, a blizzard is a dangerous winter storm that has large amounts of snow, winds in excess of 35 mph, and visibility less than a quarter mile. Blizzards are dangerous because you can easily get lost in whiteout conditions. In addition, the winds and cold temperatures can create very low wind chills that can lead to frostbite or hypothermia. In other words, you and your pets do not want to be caught outside in one! First and foremost, bring your cats inside during a blizzard if they are outdoor cats! Your local weather station will alert you if blizzard conditions are possible. Don’t wait until it’s too late and kitty has run away and hidden somewhere because they’re scared of the howling winds. If it’s getting cold or snowing, bring them inside. If you have feral cats who can’t come inside, at least try to lure them into a garage or a barn where they’ll be sheltered from the winds and some of the cold. 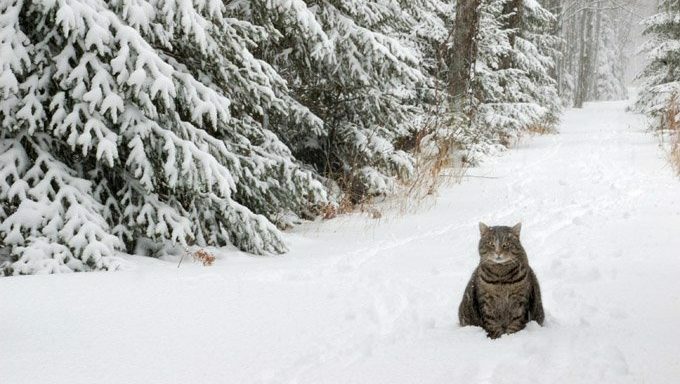 CatTime has a great article on how to care for feral cats in the winter that you can read here. Remember that you’ll also need to take measures to keep the water from freezing, such as having a heated bowl that’s plugged in, insulated , or kept near a heat source. Sometimes, you can lose power during a blizzard. If you don’t have a generator to keep the electricity going, you’ll want a fireplace and lots of extra logs or another way to keep warm. If you have space heaters, keep an eye on them so kitty doesn’t knock one over and start a fire! AccuWeather has great tips for humans on stocking up for a storm. To keep kitty warm, make sure you have a warm cat bed or a bunch of blankets for them to snuggle up on next to you and that roaring fireplace. Remember, there can be a mad rush at grocery stores when a big blizzard is looming. So instead of waiting until the last minute, get your necessities and your cat’s emergency supplies early. Bring them inside long before the weather turns bad, and prepare for some snuggles in your warm home while the cold winds roar outside. Do you live in a place where blizzards happen in winter? How do you prepare with your cat? Let us know in the comments below!